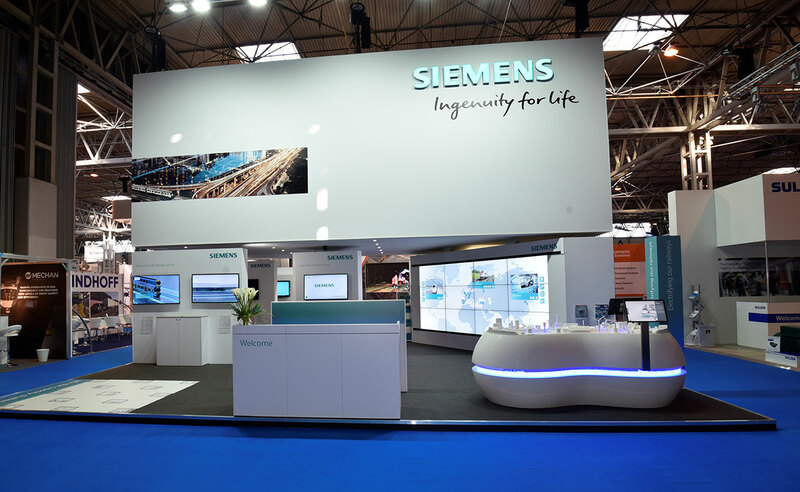 The brief for Siemens was to showcase the brand as being leaders at integrating new and diverse technologies in the rail sector. 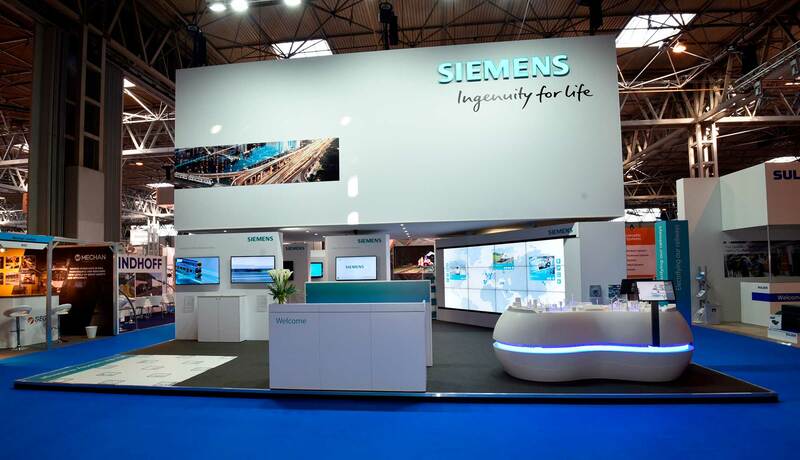 The stand had to include a technology area and also be capable of hospitality for their clients. 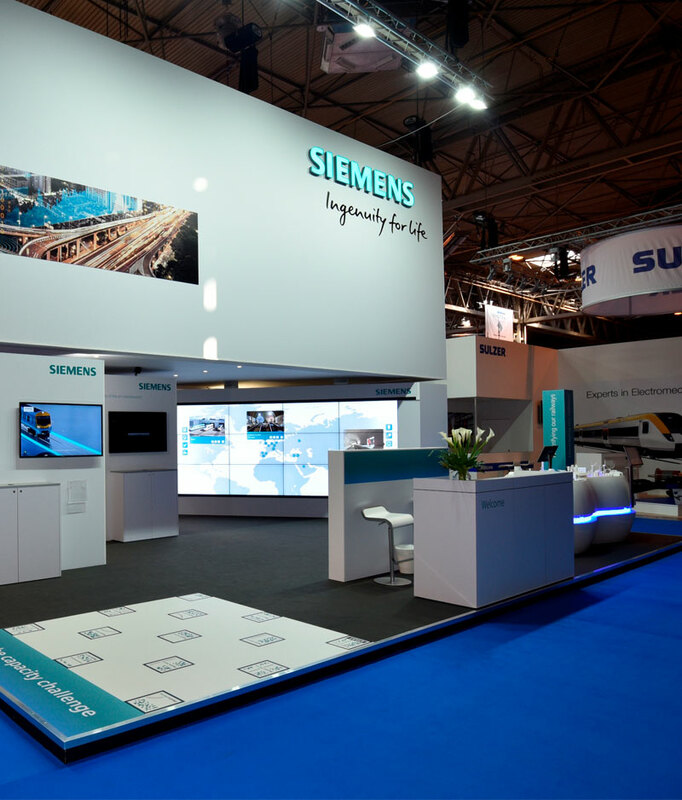 With different divisions of Siemens being able to offer solutions for the overall show, the floor space design had to include flexibility to evolve up until the build. 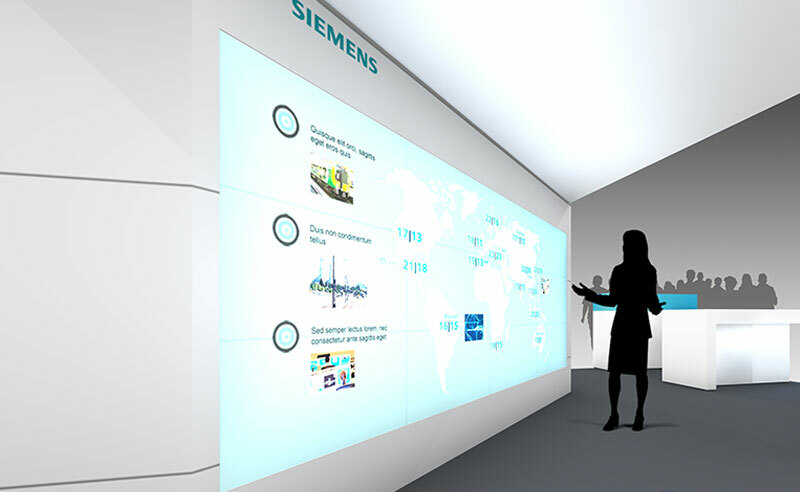 One of the challenges included showcasing technology rather than hardware, so involved integrating one of the largest Touch Screen walls available. 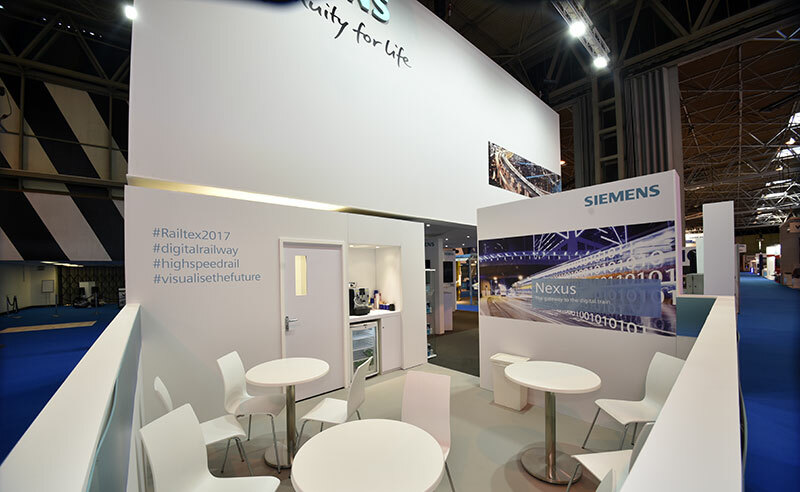 We also incorporated augmented reality into the flooring structure allocating adequate space for the VR demonstrations to be conducted safely. 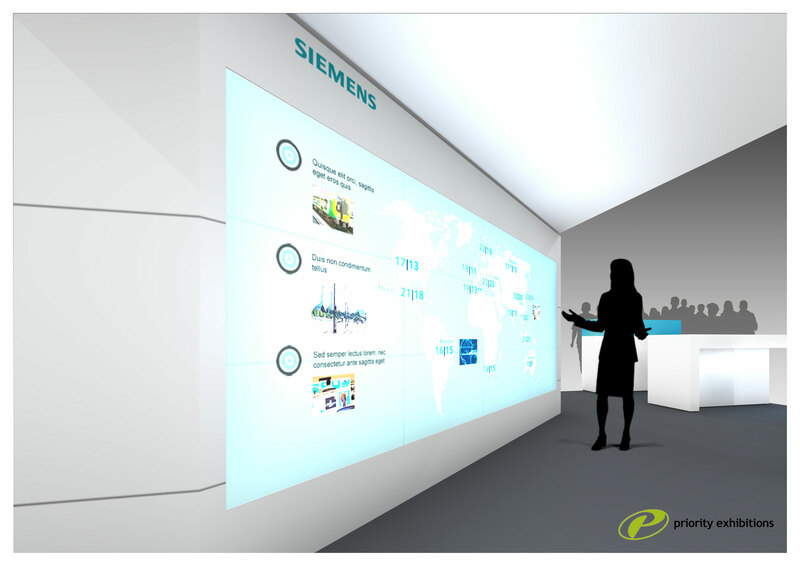 As always, corporate brand guidelines had to be observed and implemented during the whole process. 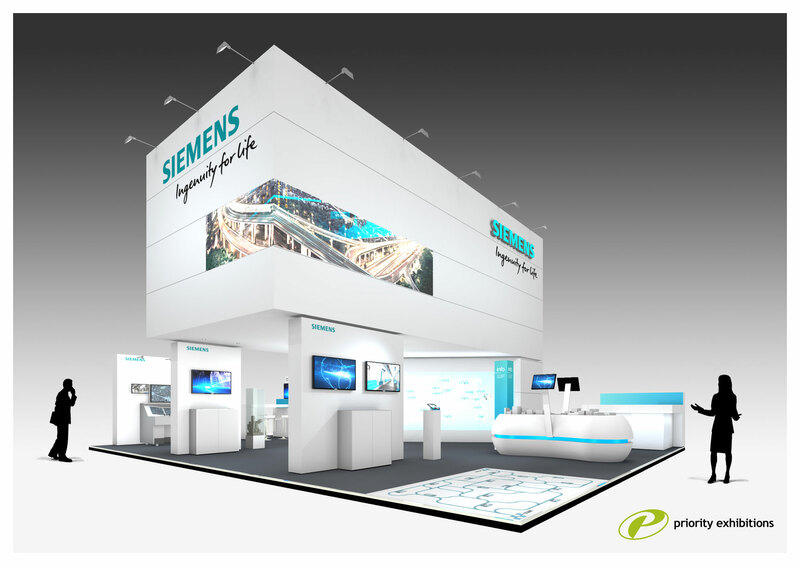 With multiple stands designed, built and delivered over twenty-eight years, we have the knowledge to build practicality as well as pizazz. 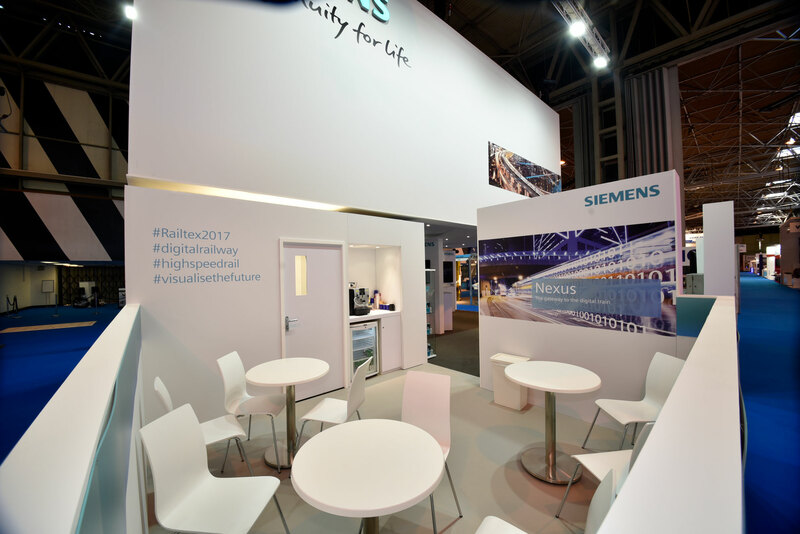 Designing a stand that features interactive VR and AR demonstrations is key to attracting visitors and drawing footfall across to your stand. 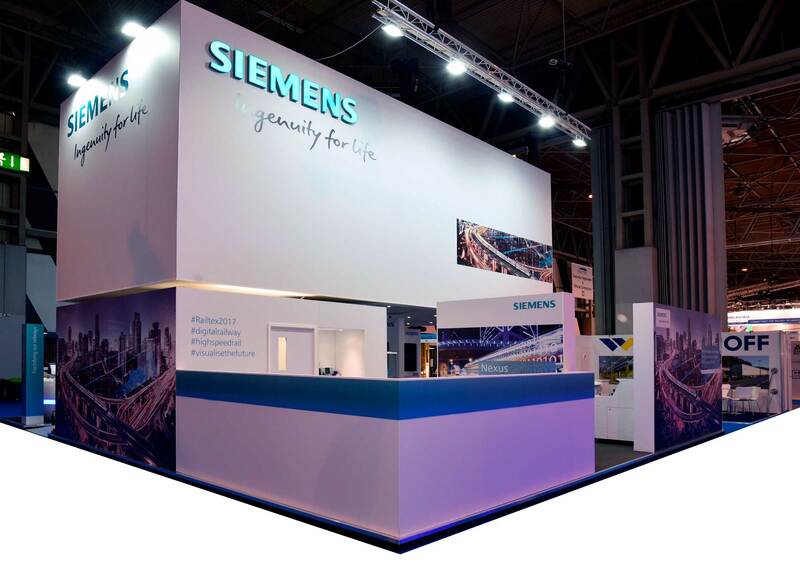 Having been established since 1989, our team of craftsmen are second to none when it comes to stand build. Mixing traditional carpentry skills with new technology such as our large format printing, we deliver top quality construction. 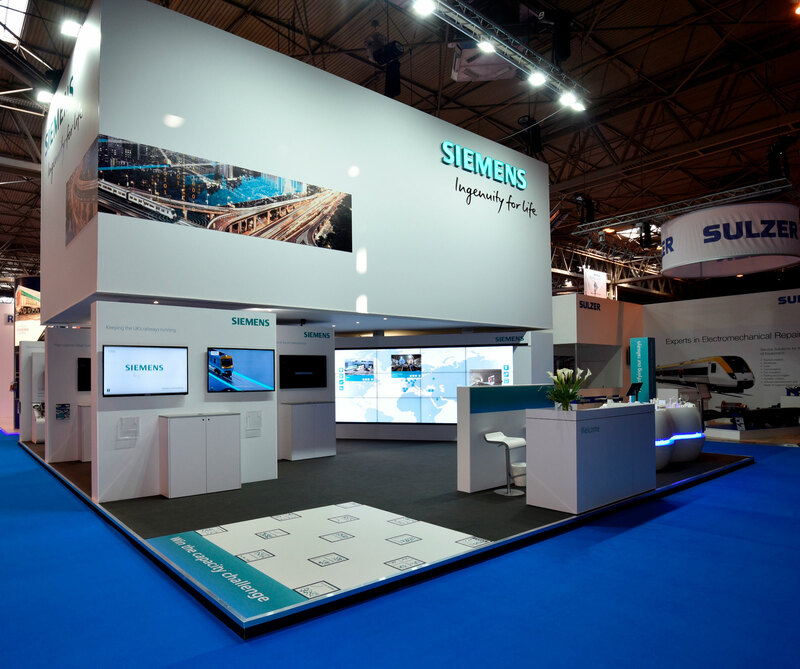 With a team that covers years of experience, we can design and build unique stands designed using traditional craftsmanship, combined with cutting edge materials and the latest manufacturing and build techniques. Having been established since 1989, our team of craftsmen and designers have created numerous top- notch designs when it comes to stand design. 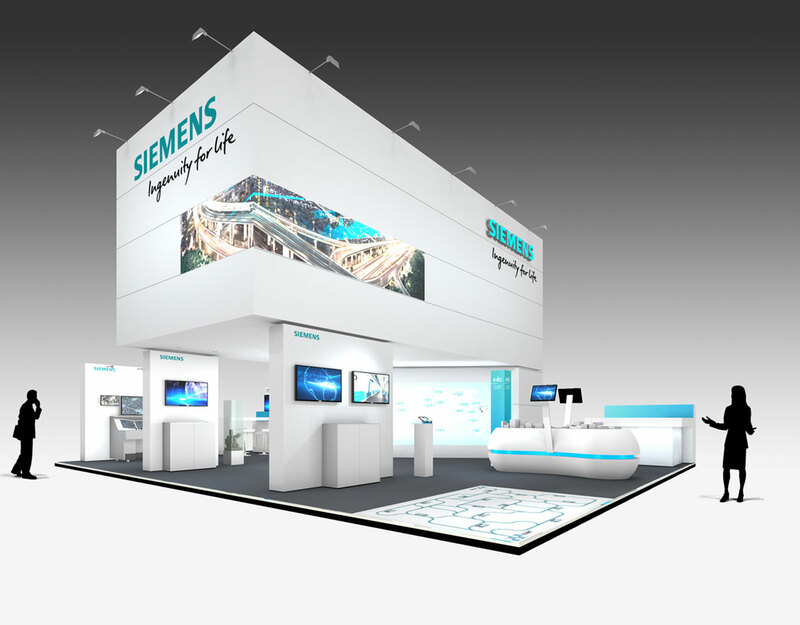 Using our design skills, we have the ability to design scalable and flexible designs for multiple stand layouts and usage.